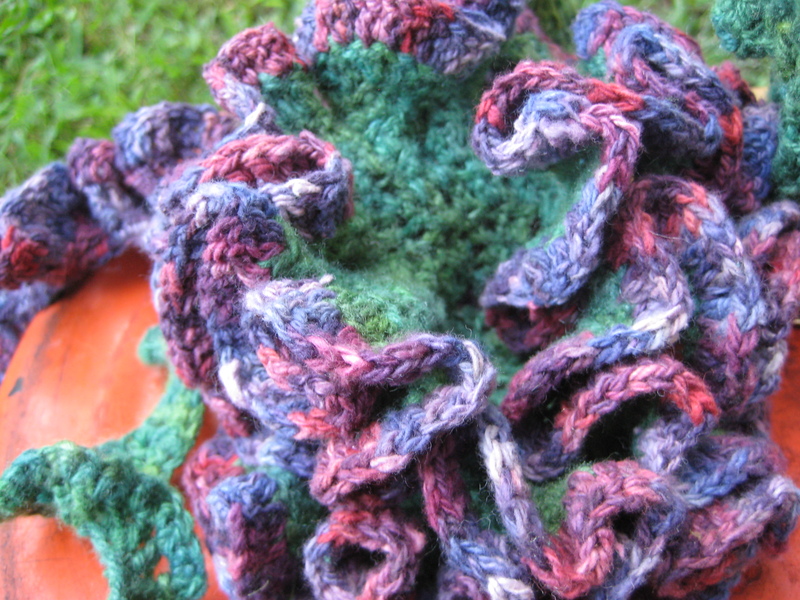 Have you all heard about the Hyperbolic Crochet Coral Reef? 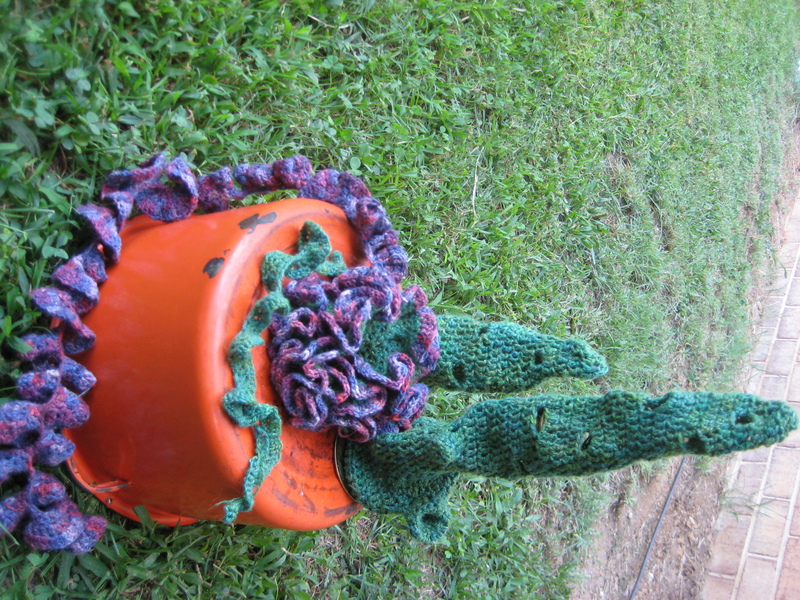 “Crochet Coral and Anemone Garden” with sea slug by Marianne Midelburg. Photos © The IFF by Alyssa Gorelick. 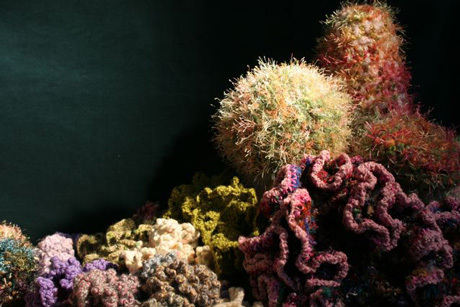 The Smithsonian’s Natural History Museum and the Institute for Figuring are teaming up to create a vast community project of hand-knitted and crocheted representations of sea coral. These pieces will be brought together to create 3 large reefs. One natural reef full of color and life, one toxic reef make of plastic and garbage, and one bleached reef made of white and pastel tones to show the effects of global warming and pollution on our coral reef system. It’s the marriage of math, science, and art in one seamless exhibit. The best part of it is the community. The museum reached out to local yarns shops and held small meetings which turned into learning experiences. It was like stepping back in time to a sewing bee. The whole thing was a wonderful experience in meeting new people who loved working with their hands, and a great way for new crocheters to start! Now I see someone crocheting hyperbolically (is that a word?) on the street or in a cafe and I go talk to them, because I know exactly what they’re doing and I feel connected to them. It makes me feel a little more connected in this vast DC metro area on the whole. And that’s quite a feat!